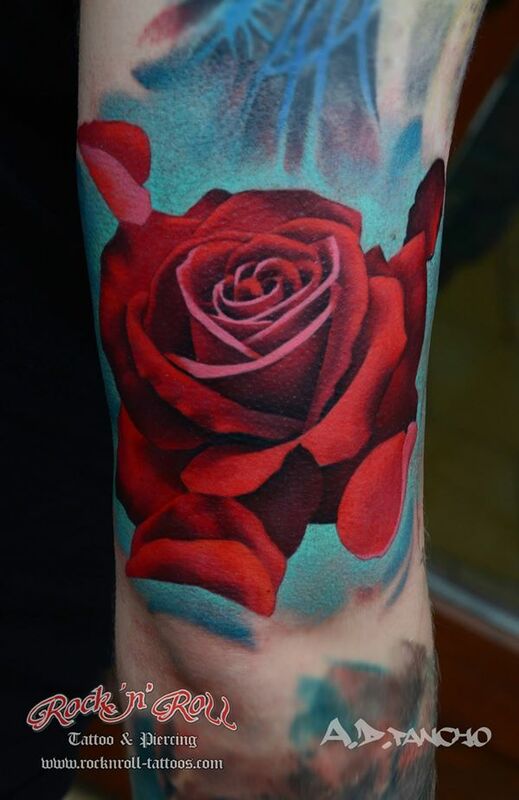 Every spring, the flowers arrive on time. 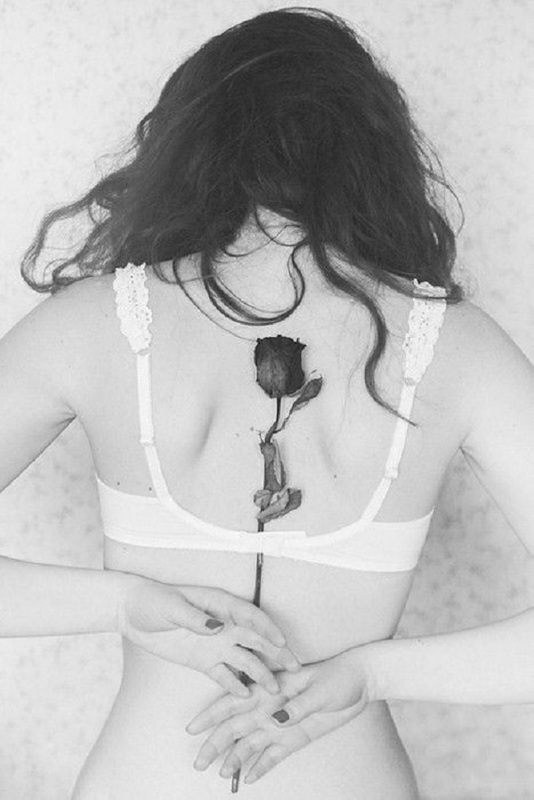 It’s always pleasant moment to enjoy blooming flowers. 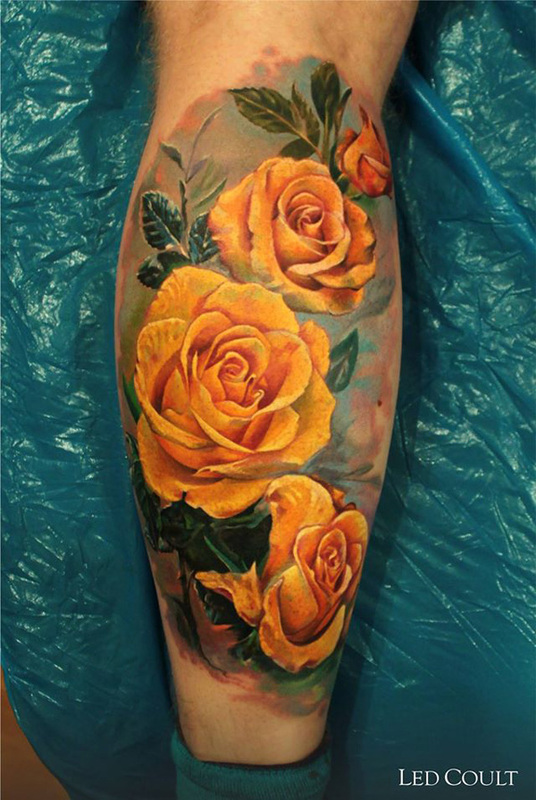 Flowers of different genus have been favorite subjects depicted in literature and visual arts by artist. 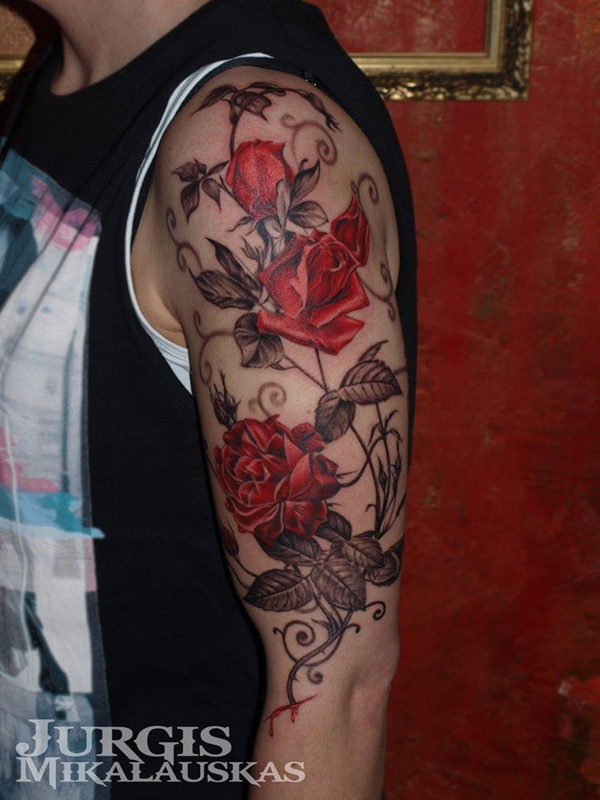 Flowers are also used by tattooist to create beautiful tattoos and express their symbolic meanings. 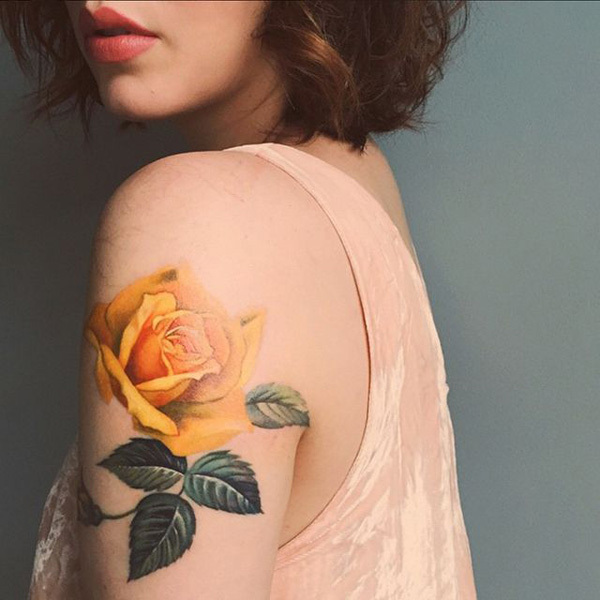 Rose tattoos may be the most popular flower tattoos people love to get. 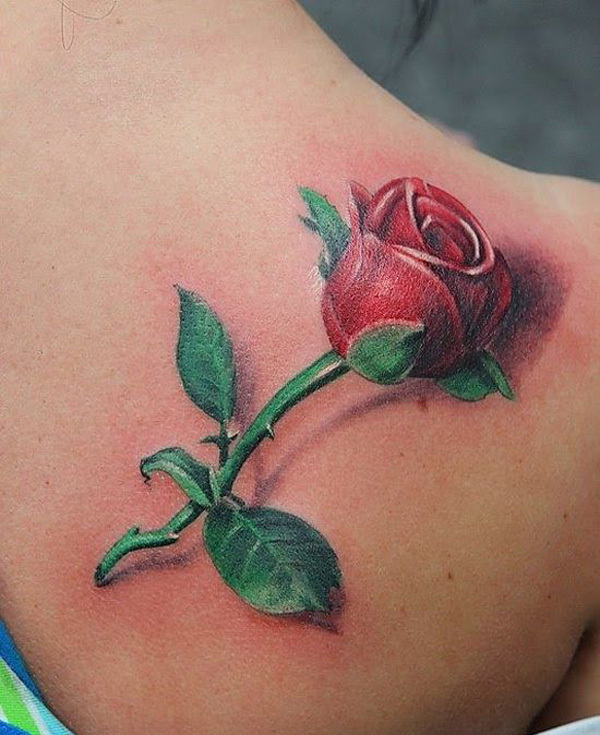 With the eye-catching rose tattoos, not only you extend the length of beauty, but also touch your audience by the emotional symbolic meanings. 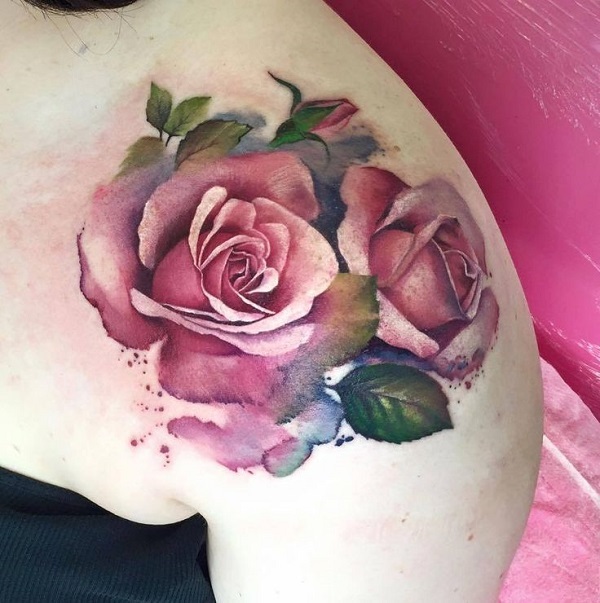 When you appreciate the aesthetic beauty of roses and decide to get a rose tattoo on your body, remember there are many colors of roses in the world. 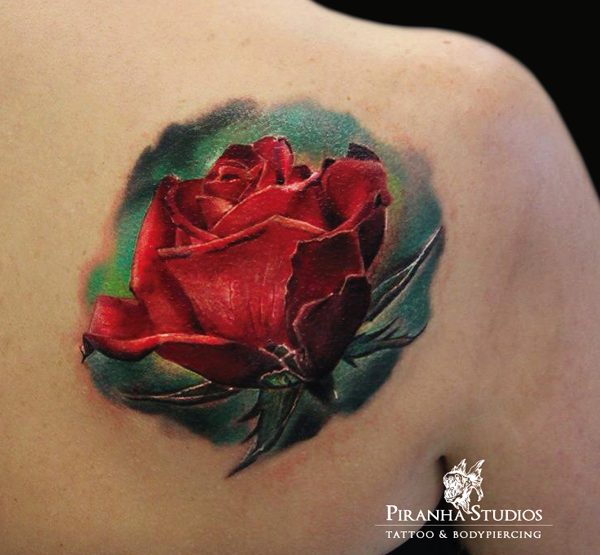 Make sure you understand the meanings associated with the different colors of roses. 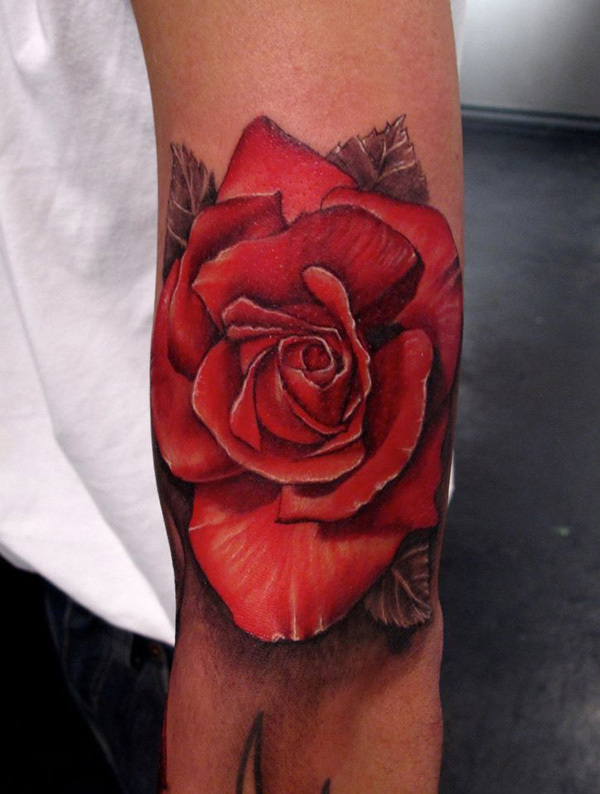 Red roses are representation of romantic love or convey deep emotions. 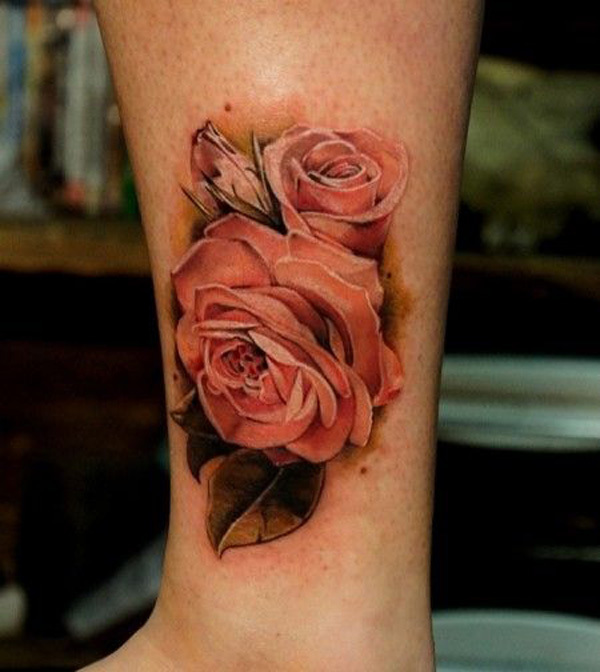 Pink rose is a symbol of grace and elegance and conveys gentle emotions such as admiration, appreciation and gratitude. 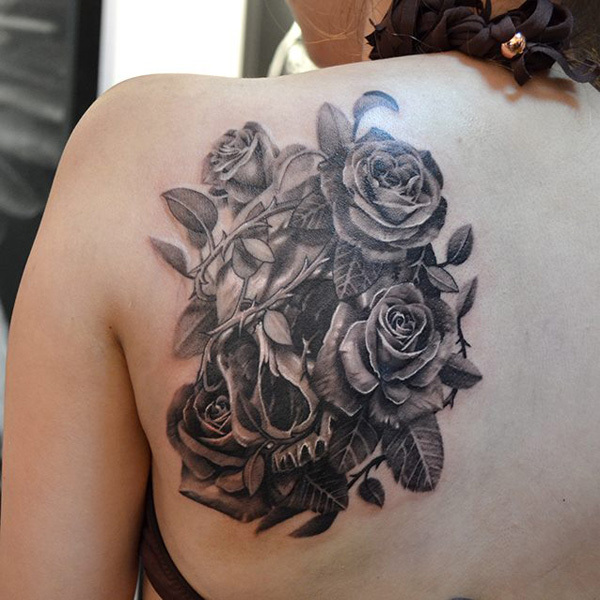 White Roses, the bridal roses, represent love, purity, and innocence and convey sympathy or humility. 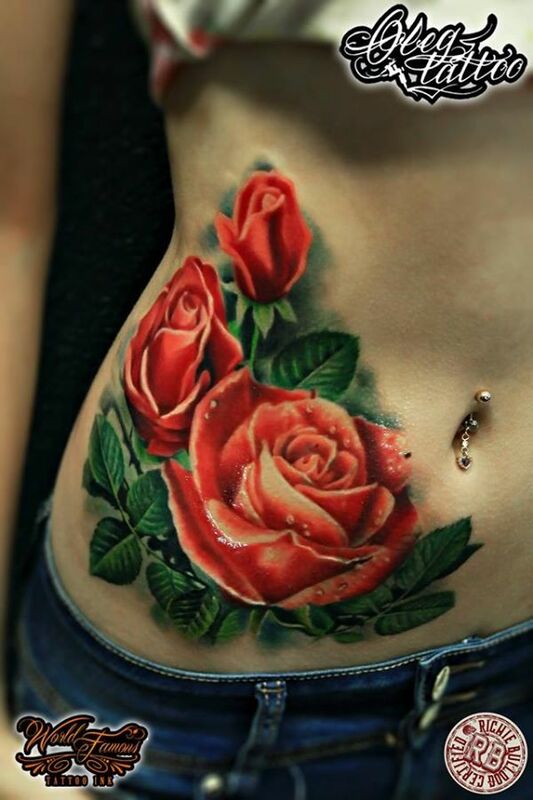 Normally roses appear in tattoos alone. 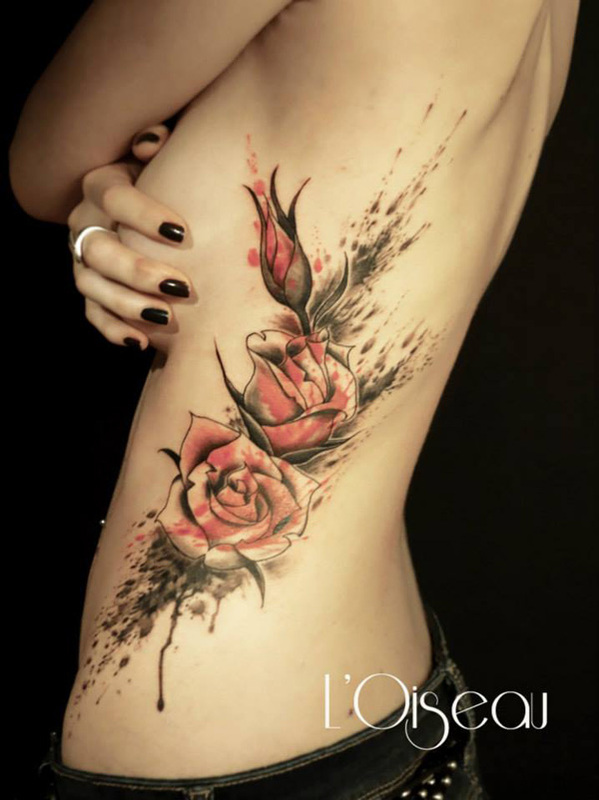 A lot of rose tattoos are often combination of other symbolic subjects with roses. 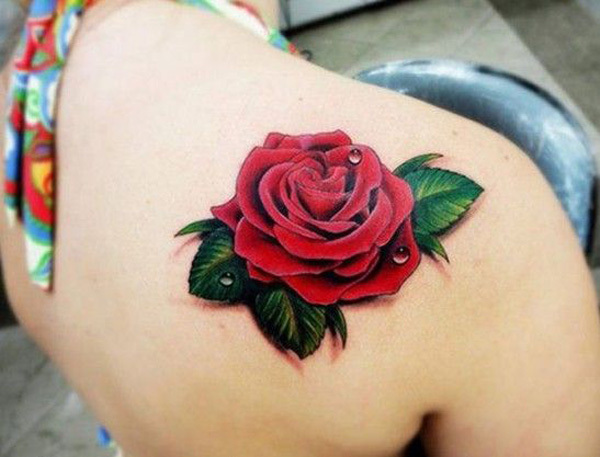 So rose tattoos may carry richer meanings than rose flowers. 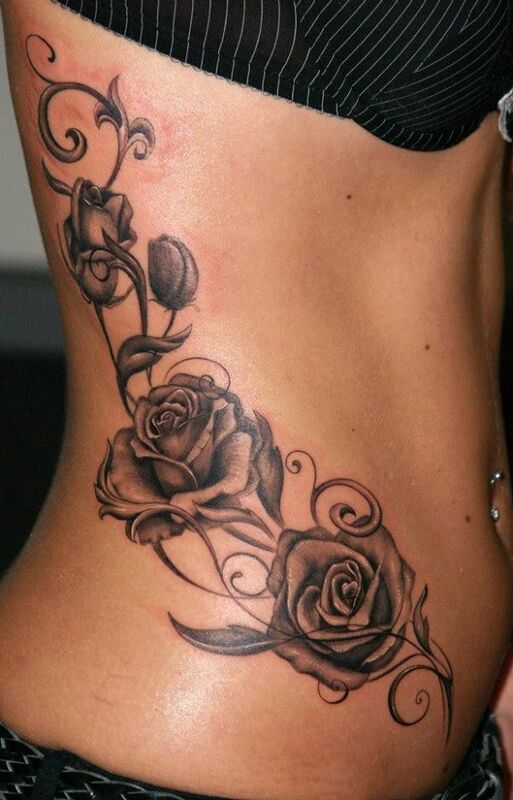 As the king of flowers, roses tattoos are among the majority of flower tattoos inked by people. 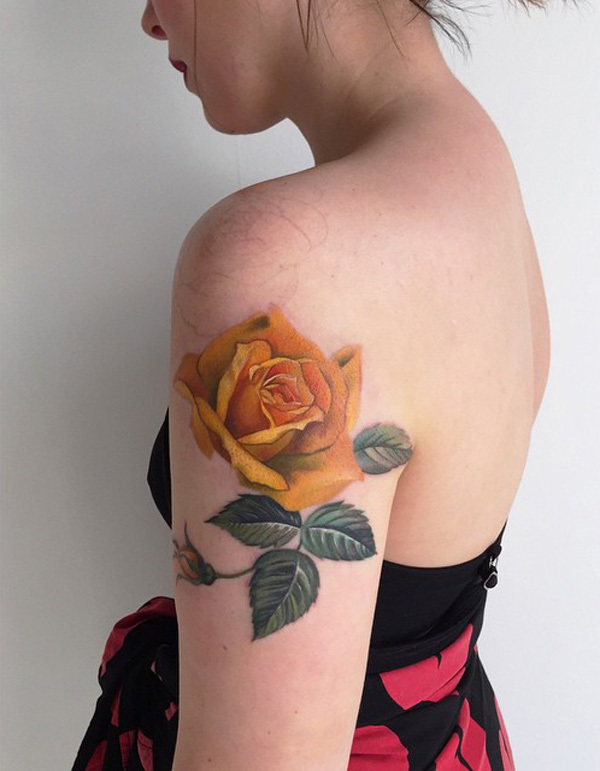 Like many of other flower tattoos, rose tattoos are mostly loved and inked by women for the qualities many women love to be associated with. 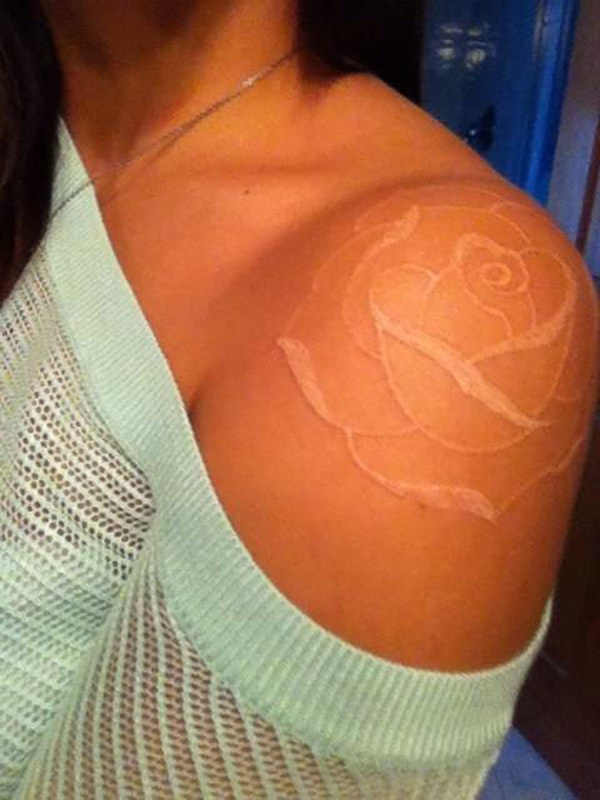 Creativity is endless to create meaningful rose tattoos. 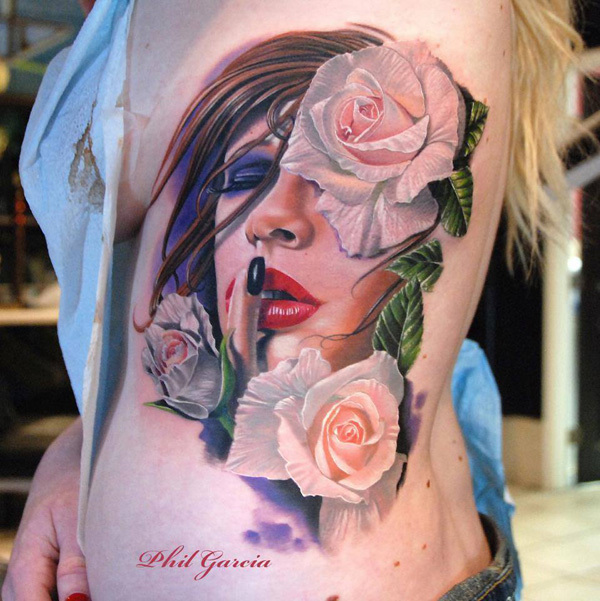 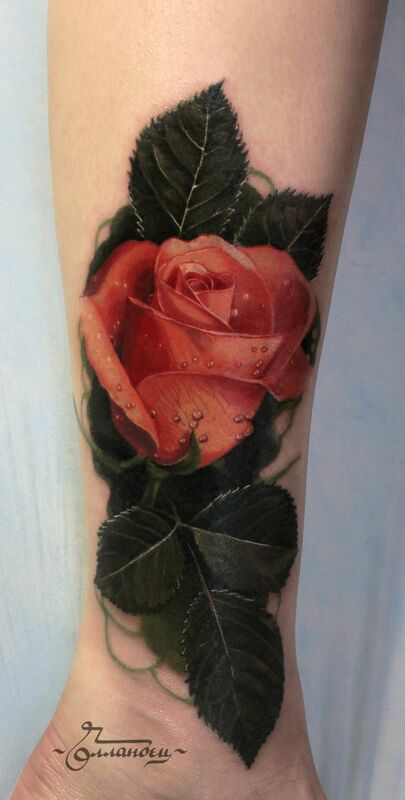 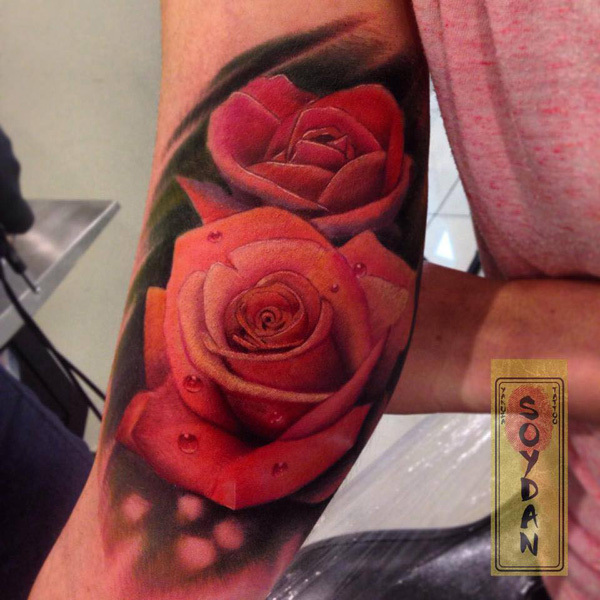 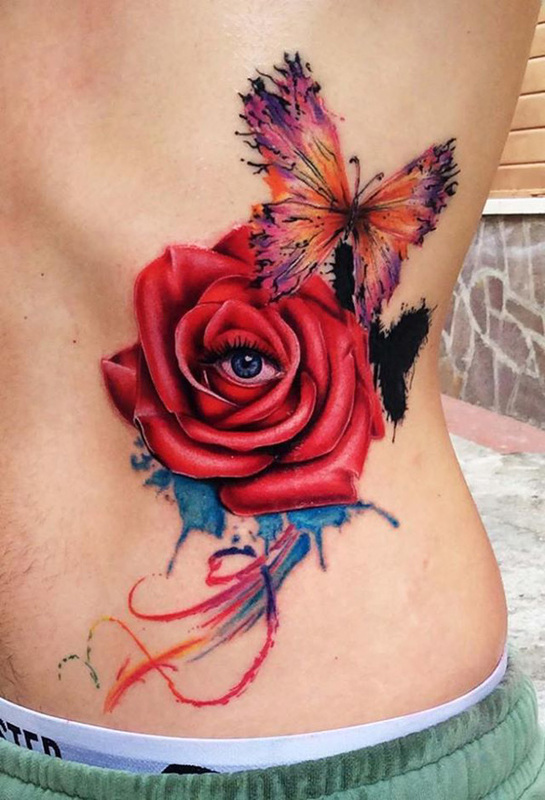 Many of rose tattoos are rendered in a realistic style. 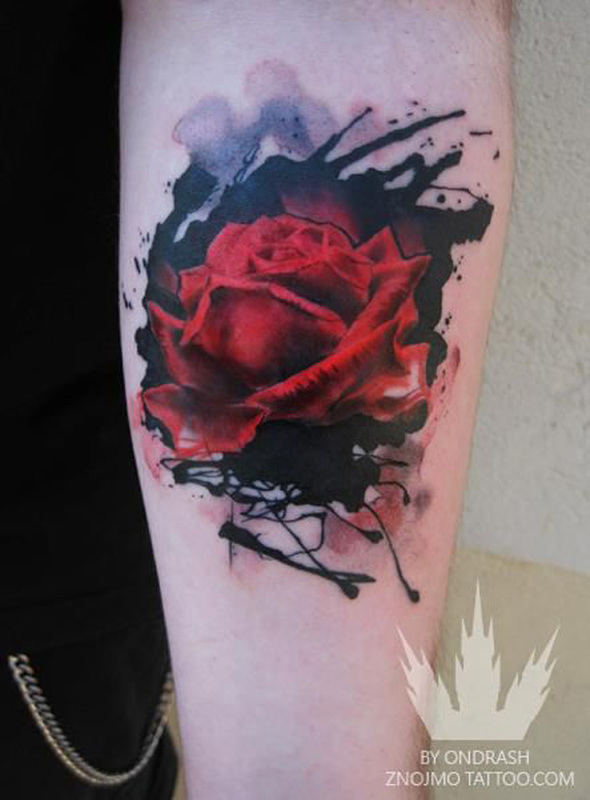 Some are produced like watercolor style. 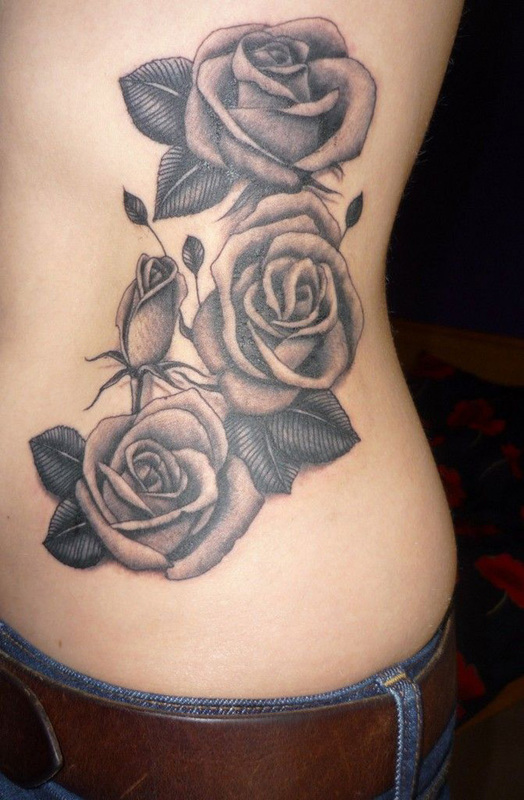 If you are a fan of white tattoo, rose tattoo is also a choice for white tattoo idea. 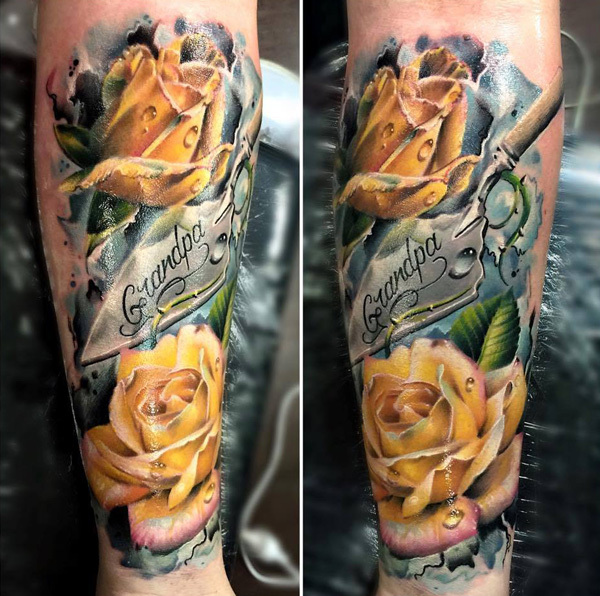 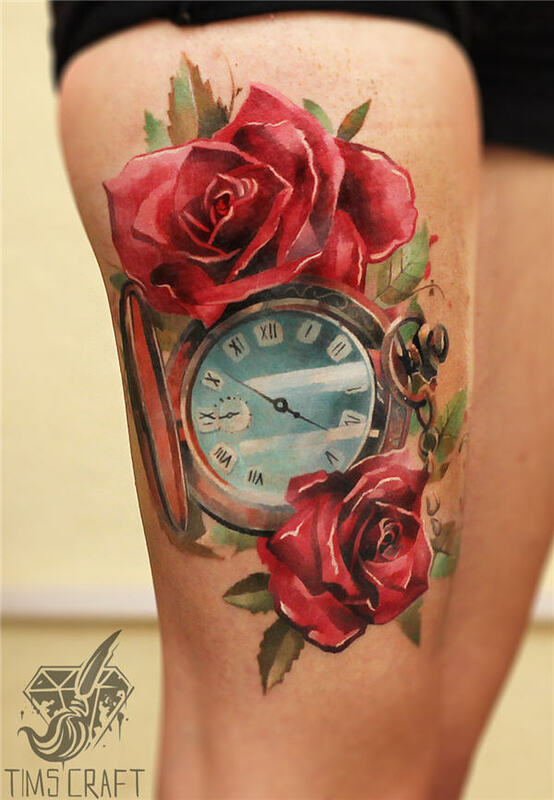 Rose themed realistic tattoo with a watch, music book. 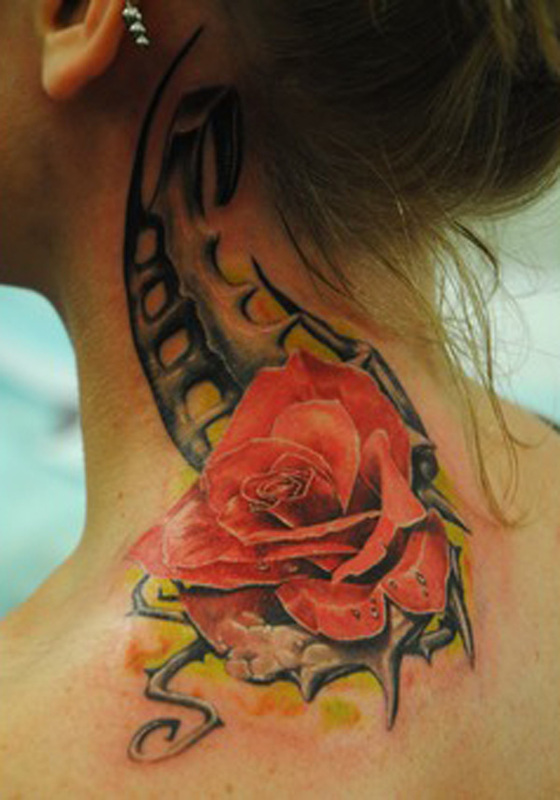 The symbolic objects in the tattoo create great space for imagination. 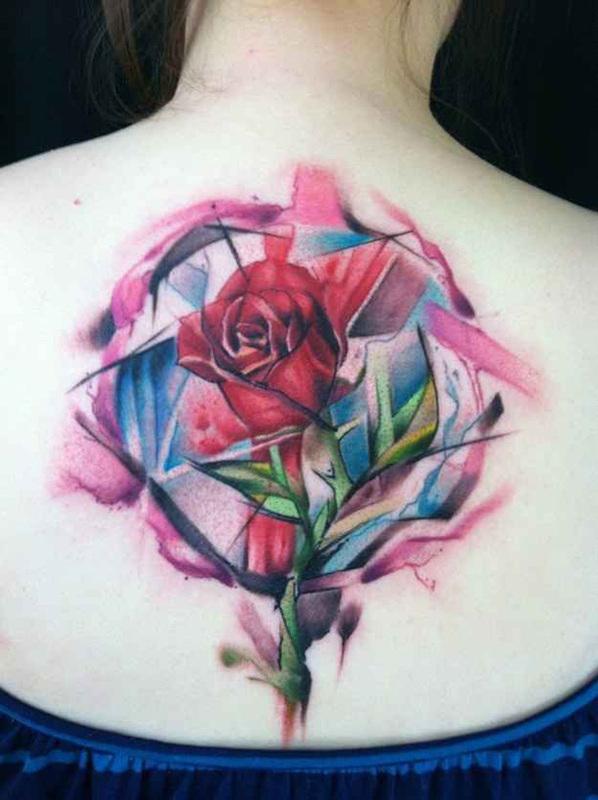 A piece of rose hiding on the back of a girl. 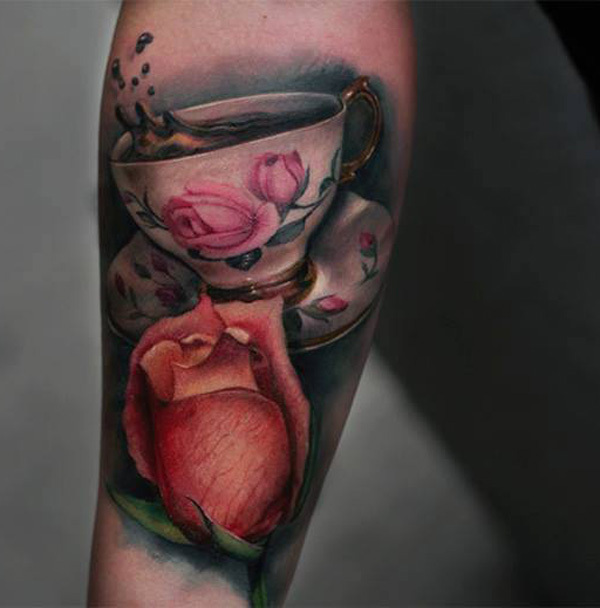 This is a perfect tattoo reminding people of Valentine’s Day. 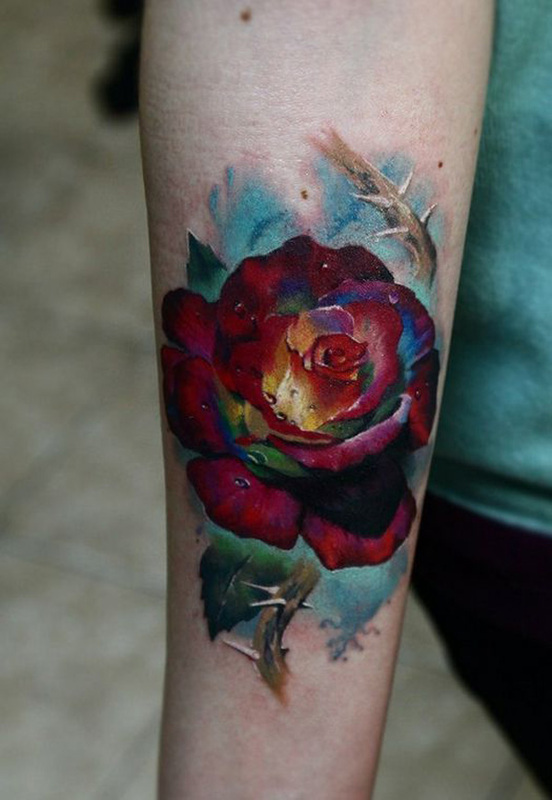 Great pictures – great inspirations for my own rose tattoos. 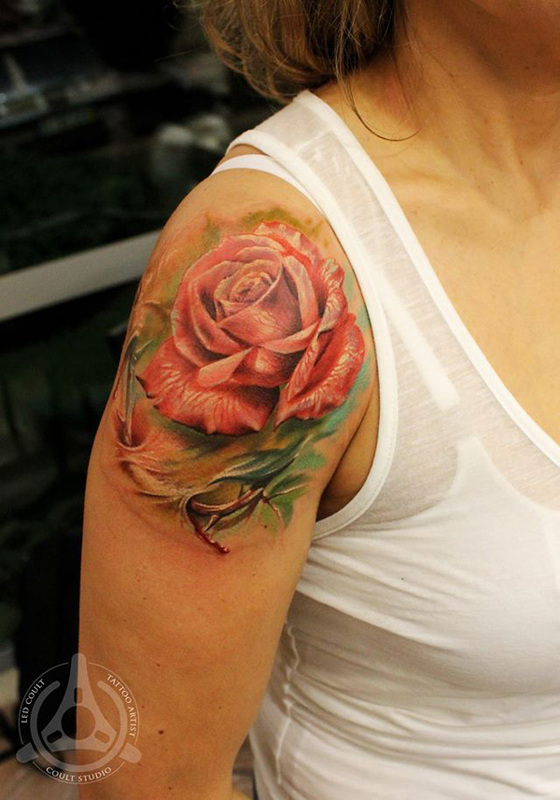 Leave a Reply to Marie-Claire D.